Packrat Video Games - Great Games. Great Prices. - Puzzle Piece Panic! The mindless Tetrad Ejecting Device (or T.E.D.) is spewing out an endless series of Tetrad Puzzle Pieces into the Well. Your mission is to manuever these Tetrads so they disintegrate before the Well fills up! Act fast or it will be too late! Ted Szczypiorski has done it yet again! Puzzle Piece Panic will amaze you. 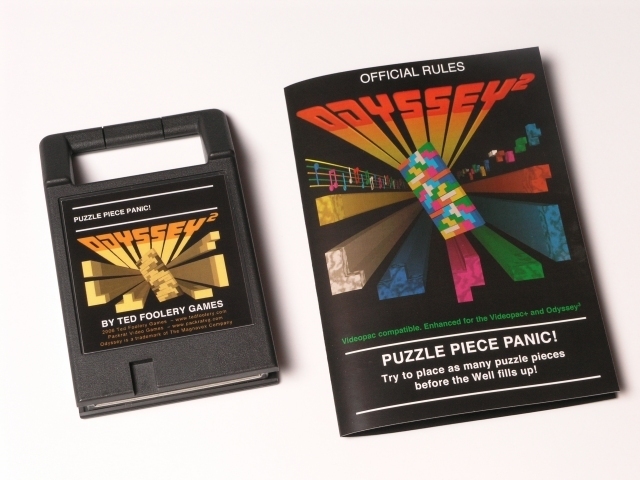 It features a menu screen, four game variations, enhanced Videopac+ and Odyssey3 graphics, and true polyphonic music (an O2 first). The graphics are sharp and very polished, and the piece movement is smooth and fluid. You can't call yourself a true Odyssey2 collector unless you own this game! 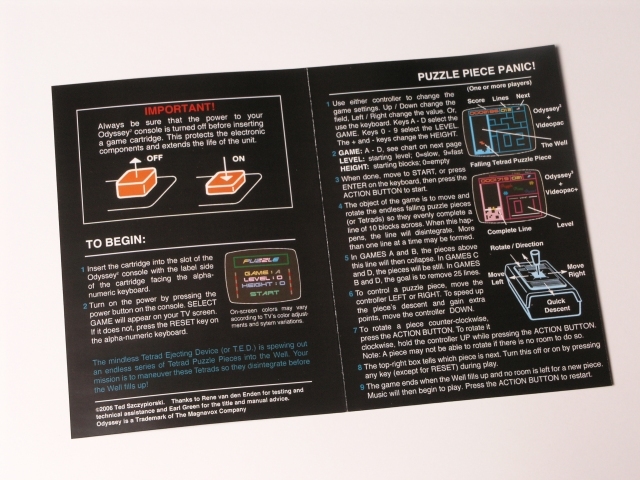 Comes with cartridge, full-color manual, and index card.